It's 90's Night at Halftime Sports Bar in Commerce City! Join us on the spacious patio starting at 9pm and rock out to your favorite hits brought to you courtesy of Denver's premier 90's cover band; 90s Til Dawn! 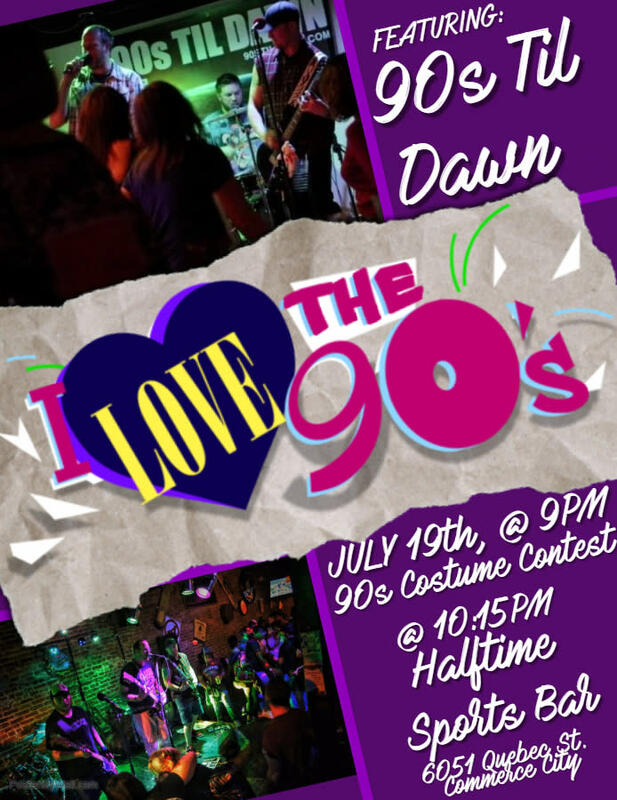 Come dressed in your best 90's outfit and compete in our 90's costume contest at 10:15pm. Other contests and prizes will be offered throughout the night. FREE SHOW!